We offer you a spacious Seaview apartment with 2 large rooms & brand new bathroom - ideal for a family! Perfect Old Town location: 2-minute walk to swimming, supermarket, restaurants, Tartini Square. 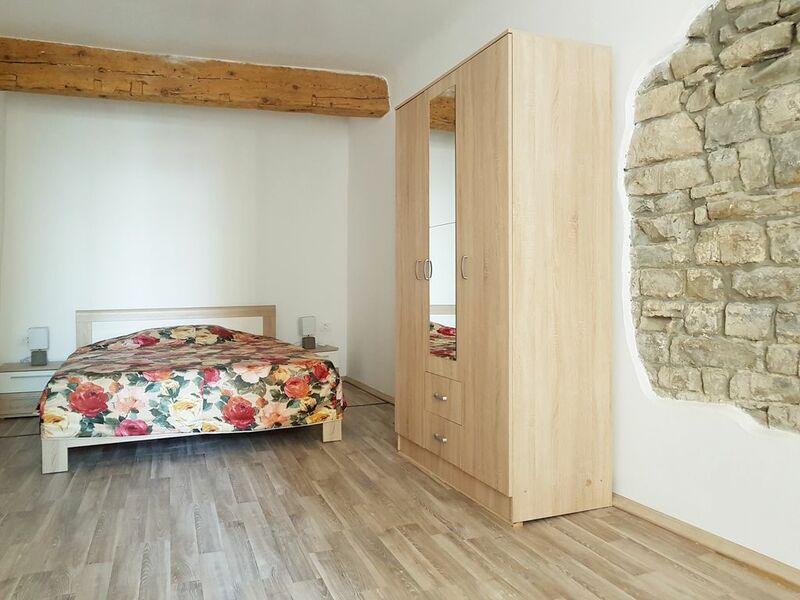 In this lovingly restored house with wooden beams and original stone walls, heritage and art meet modern amenities: free wifi, air con, totally new kitchen stocked with supplies. Enjoy quiet sleep at night, lots of sun and a stunning view from your windows - direct Sea view and Old Town view! -45m2 of fully renovated living space in a historic Piran house, located in the very heart of Piran Old Town! Our 2-room apartment is ideal for a family of 4. If you have more people, we can offer you additional apartments in the same building, please inquire!